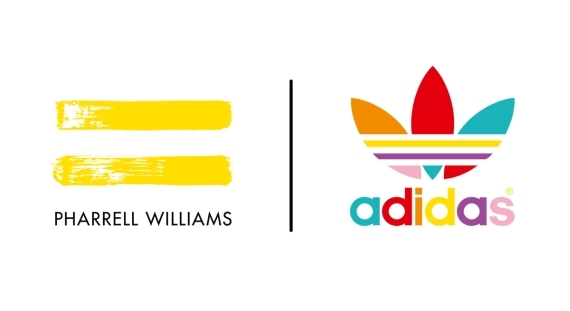 Since the announcement of Pharrell William’s partnership with mega-brand ADIDAS Originals in the Spring of this year, we have been graced with a constant flow of creative offerings from the duo. 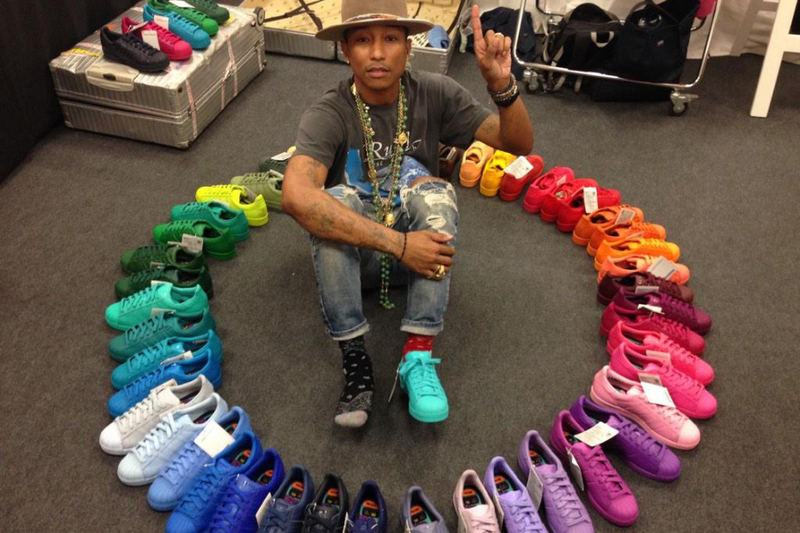 Pharrell’s diverse genius knows no bounds, as can be seen in all his artistic platforms. 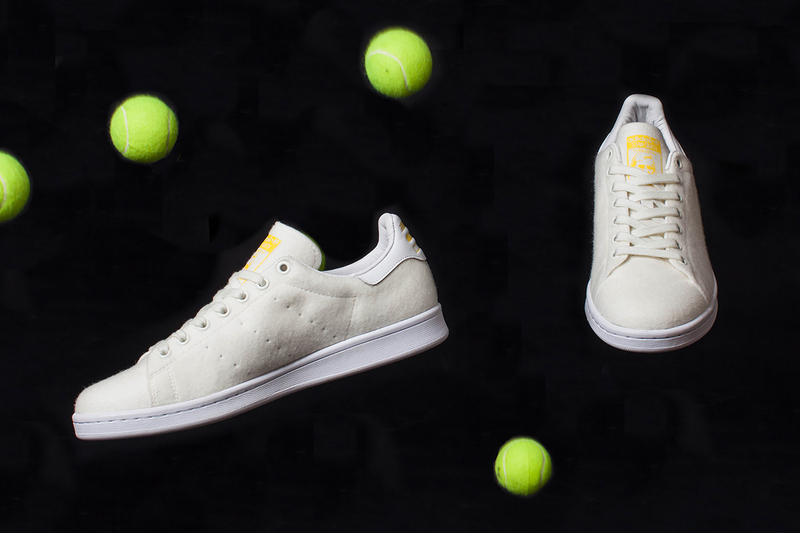 Whether he is providing the Summer with an anthem of gratefulness in “Happy,” or he is accompanying Future on his ode to cocaine selling, “Move That Dope,” we see that there aren’t too many artistic avenues Pharrell will not traverse through. 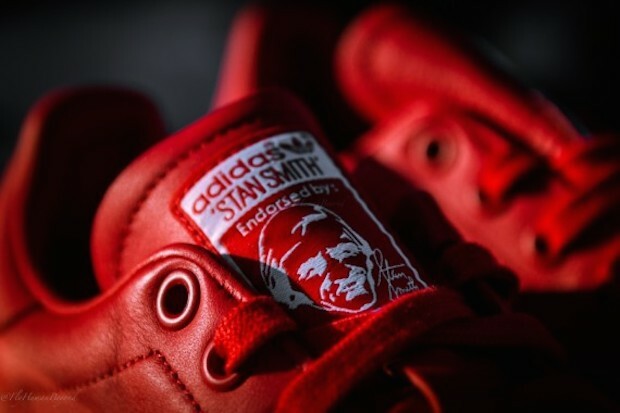 Mr. Williams is as well no stranger to the world of fashion, owning two major streetwear companies Billionaire Boys Club and Ice Cream. 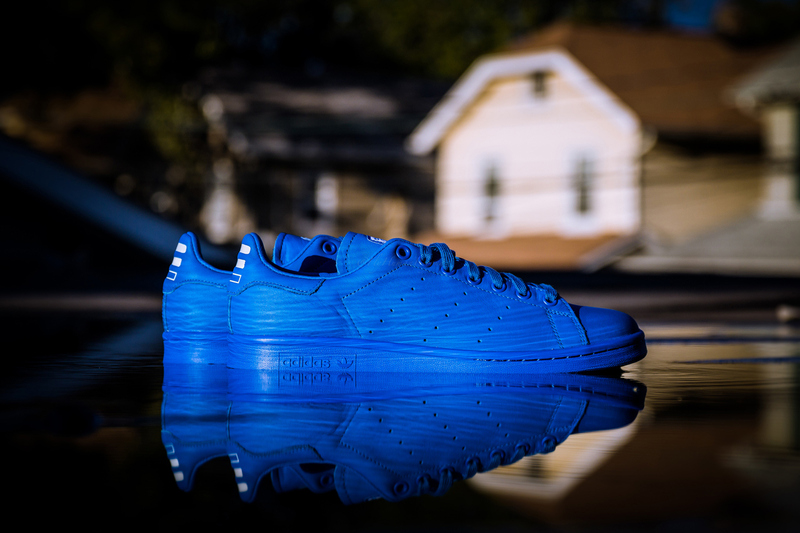 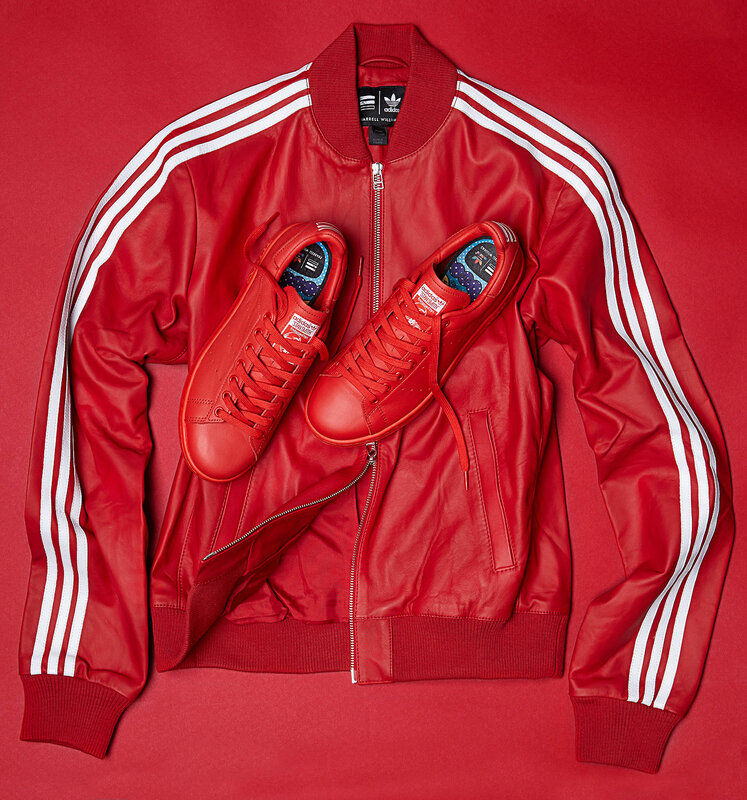 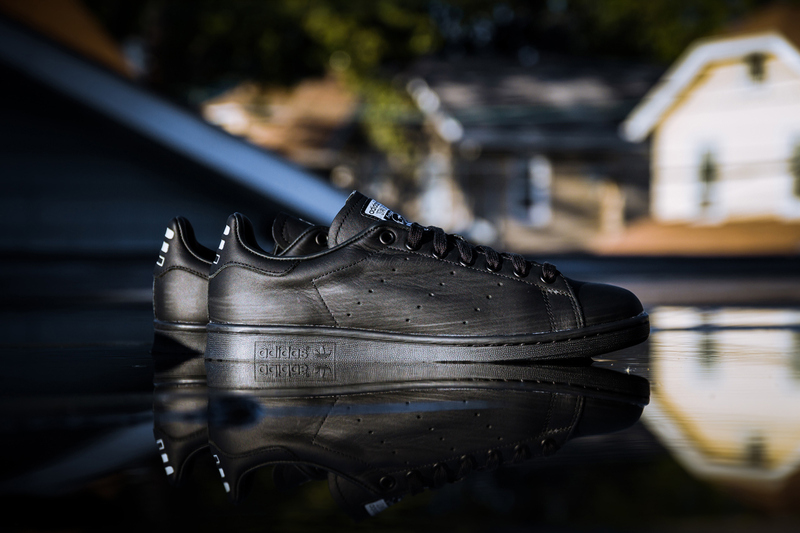 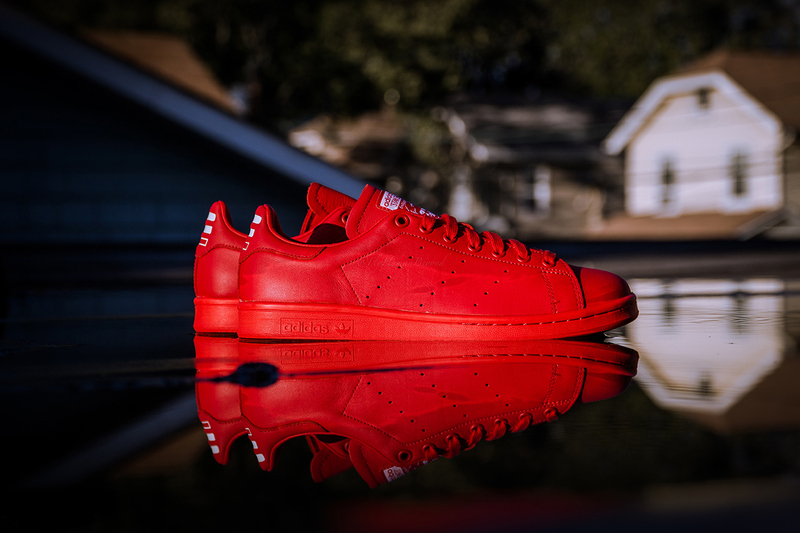 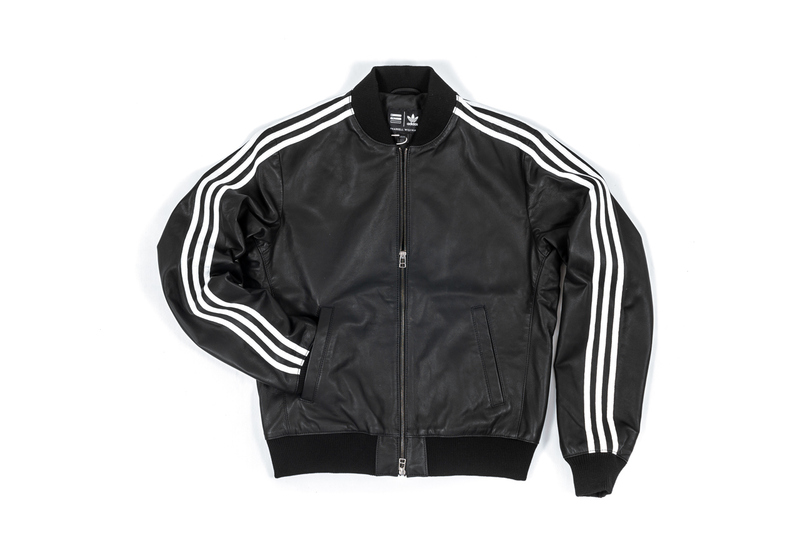 We first saw the “Consortium Solid Pack” collection nearing the end of September, which included Stan Smith Adidas tennis shoes in red, blue, and black, and matching track jackets constructed of fine leather with the the signature Three Stripes as a minimalistic finish. 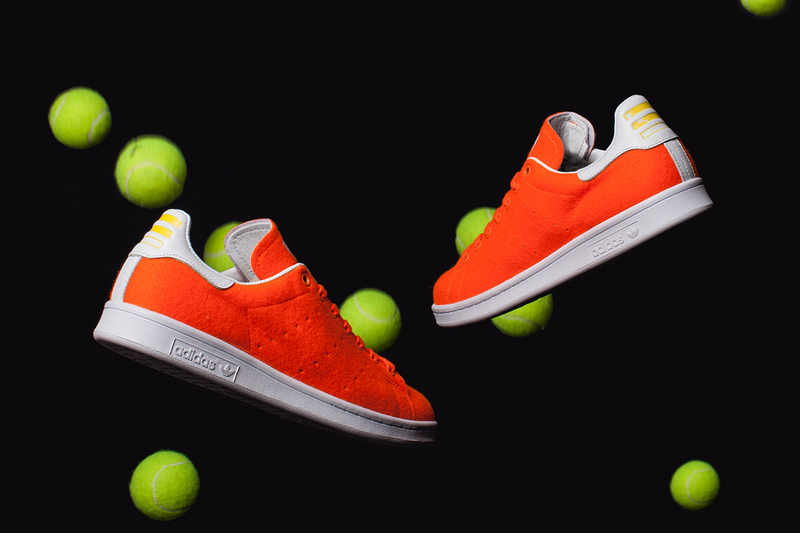 Yesterday, we saw the second installment in the collaborative partnership with three brand new colorways in the Stan Smith Adidas tennis shoes: green, orange, and a classic crisp white. 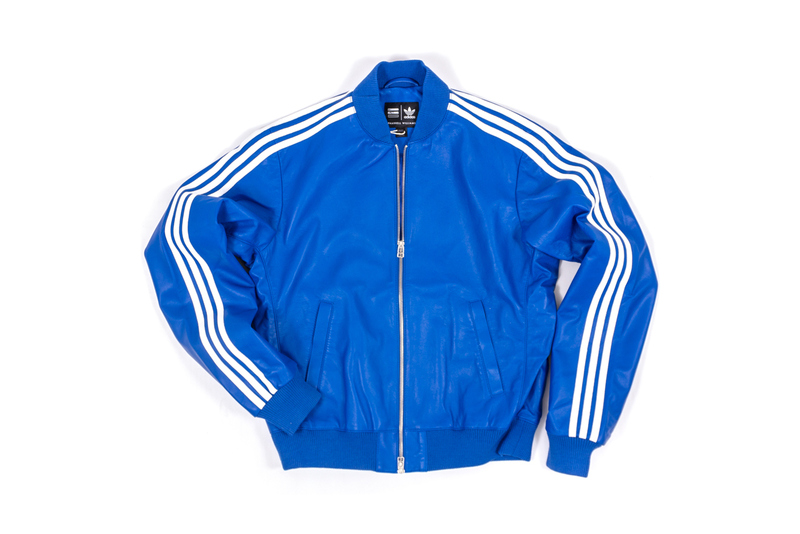 Both of these collections are available at stockists online as well as Vancouver’s very own Livestock. 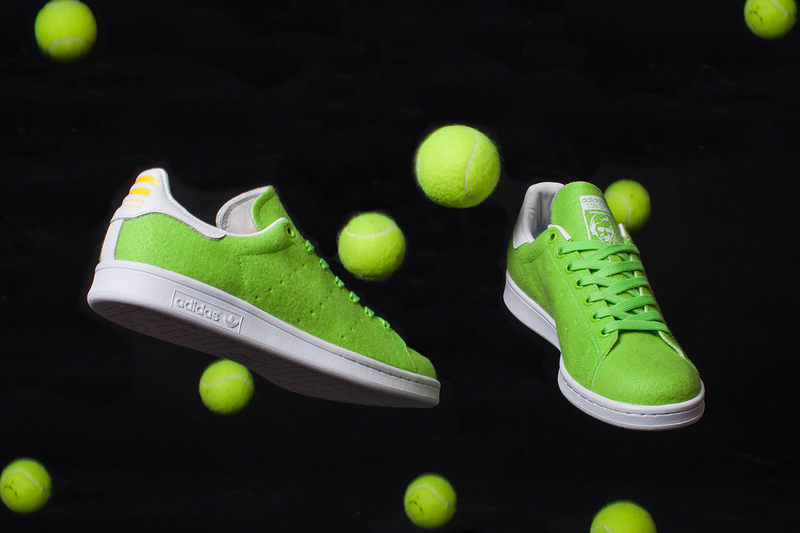 And as of the last 48 hours, Pharrel has gone to his Twitter to show off some more of the upcoming tennis shoes to soon be announced for release, that appear to be available in every color in existence.